The HCG Diet is a combination of using Human Chorionic Gonadotropin hormone and eating a Very Low Calorie Diet (VLCD) that helps dieters lose weight rapidly. Those who wish to try this three-month weight loss program, should be aware of some of the common HCG diet side effects. The diet is divided into four phases and each one may show different HCG diet side effects. The first two phases require the dieter to administer the HCG hormone into his body through injections, pills, sprays, or drops. The second, and perhaps the most difficult phase, requires eating only 500 calories a day. All foods with starch, fat, or sugars are eliminated. The last two phases require only a well-balanced diet, without the need for administering the hormone. Blood clots, caused by the injection of the HCG hormone, are HCG diet side effects. The minimum intake of calories per day should be 1,200 for women and 1,500 for men, according to the guidelines of the National Institutes of Health. Due to the extreme low calorie intake that the HCG diet insists on, FDA experts say that this diet can sometimes be hazardous. While on the HCG diet, one could experience one or more of the following HCG diet side effects. One could get headaches in the initial stages of the diet. Over-the-counter medication can help in treating this side effect. One could also experience dizziness during the first week, but it will go away with time. Due to the low food intake, there will be a decrease in one’s bowel movement, which may feel like constipation. Some people might experience hair thinning as a temporary side effect. In rare cases, rashes may appear on the skin. Due to low potassium levels, dieters might experience some leg cramps, which can be alleviated by taking potassium supplements. Sometimes one might feel restless or irritable. The HCG Diet might lead to a loss of one’s menstrual period. If the HCG hormone is injected into the body, it may cause hazardous blood clots. Gallstone formation can also occur as a side effect of the HCG diet. Ovarian Hyperstimulation Syndrome (OHSS) may occur in women following this diet plan. The symptoms of this condition include shortness of breath, swelling of the limbs, vomiting, pelvic pain, diarrhea, and stomach pain. Ovarian Hyperstimulation Syndrome is one of the side effects of HCG diet in women. It causes symptoms like stomach pain and shortness of breath. In some cases, irregular beating of the heart may appear as a side effect. The functioning of the body’s muscles and nerves may also be restricted due to an imbalance of electrolytes. The HCG Diet has been around for fifty years. Many dieters say that it has helped them reduce weight and bring down their hip measurements. 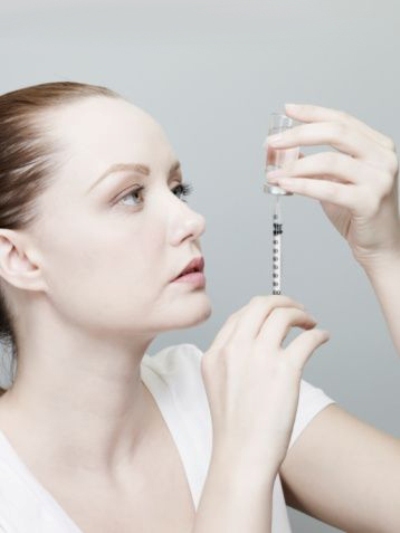 However, due to the VLCD, there may be many HCG diet side effects. Before you start on this weight loss regime, remember to consult your doctor. If you are already following the diet, ensure that you ask for medical help if you experience any of the HCG diet side effects mentioned above. If you take proper precautions and medical advice before following the HCG diet, there’s no reason why it shouldn’t work wonders for your body. This entry was posted in Nutrition and tagged hcg side effects, side effects of hcg diet by Zipheal Editorial Staff. Bookmark the permalink.